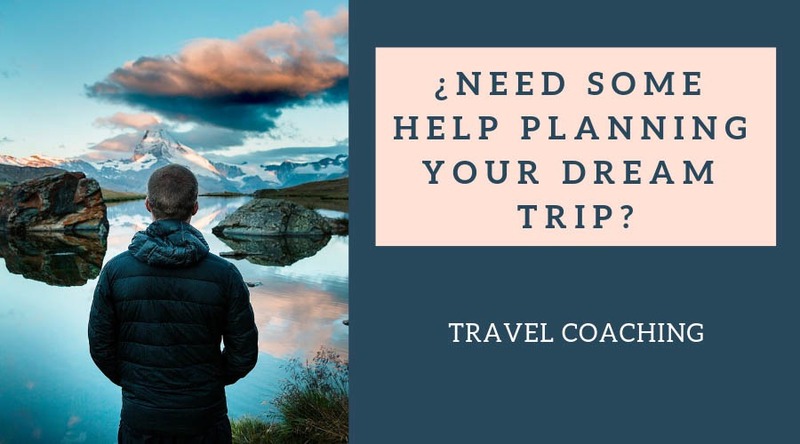 Unless you are traveling in the coffee paradise of Colombia, where you can buy a cup in literally every corner, you’ll probably experience problems finding good-quality coffee while on your travels. Moreover, if you like to travel off the beaten path, as I do, the problem gets worse; sometimes it’s impossible to find even a gas station. That means no coffee, not even a watery espresso! If you go hiking or camping, bringing your own portable coffee maker is the only solution. I have good news for all you coffee junkies! Now you can find compact, portable, travel coffee makers at a reasonable price. They are perfect for camping, backpacking or any kind of trip! Sometimes, if you are visiting big cities in Europe or the U.S.A., a cup of coffee can be surprisingly expensive and not always good! A portable coffee maker come in handy in those situations. It doesn’t matter where you are… just bring your favorite coffee brand and prepare yourself a tasty cup. By the way, you’d be surprised by the quality of these small machines! I’ve tried a few myself and I couldn’t believe it! Yes, I have to be honest, they’re not as good as desktop Italian machines, but still really good. If I give ten points to classic Italian machines, these travel coffee makers deserve at least a seven or eight. Personally, I can’t start the day without a good cup of coffee. Once I have my drink I feel ready and full of energy to keep moving. If I’m hiking, coffee is a must-have. The best thing about these travel coffee makers is that they are super lightweight and compact, so they don’t take up much space in your backpack. There are many models and it’s difficult to make the right choice, but don’t worry! I’ve done the job for you! I’ve created a list of the best coffee makers for travel. How do I know they are the best? Well, unfortunately I haven’t tried all of them, just a few. But even if I’d tried all of them, you would be following one man’s recommendations. Instead, I’ve read hundreds of reviews and compared them all to find the best products. 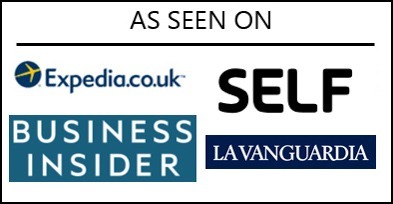 The following list is based on the feedback of satisfied customers, so you can trust the product. 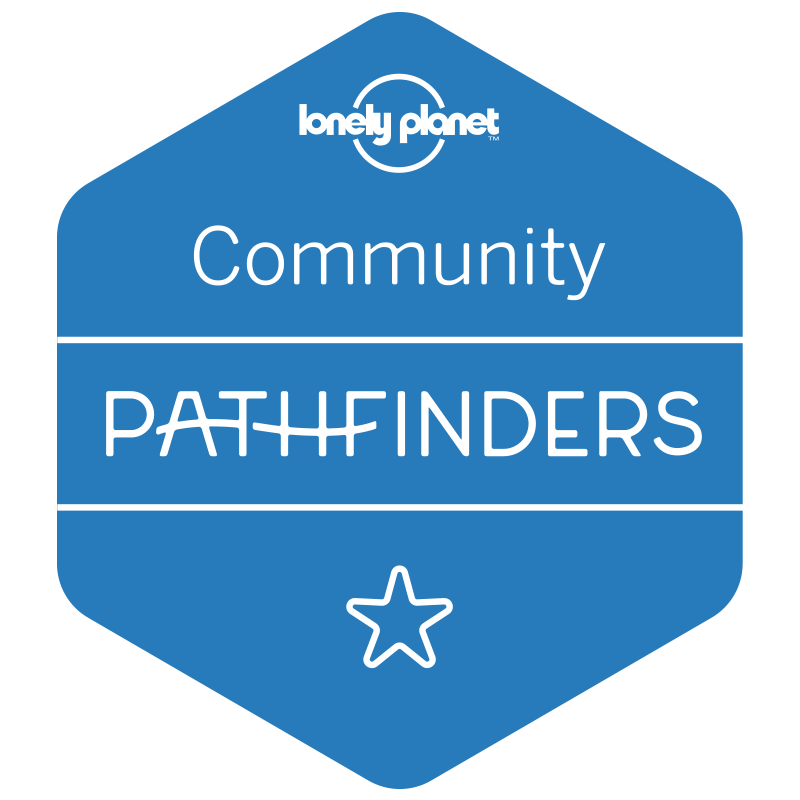 Check other buyer’s guides to find the best packing cubes, luggage locks and travel adapters! As you know, a wide variety of coffee machines is available on the market. When it comes to portable travel coffee makers, most models can be categorized as “Pour Over Coffee Makers”, “French Press” or “Espresso Makers”. There are other models but I think these have the best quality-price ratio. This kind of coffee maker is the best option for long-term travel because it is compact and lightweight. When you are traveling for weeks or even months, I recommend that you carry as little (and as light) as you can. It might seem like a few grams won’t make a difference but they do. A bit more here, a bit more there … your backpack gets heavy like a rock. On the downside, the quality of a pour over coffee maker is not as good as that of other coffee makers and it takes some time to get your coffee ready, as you’ll be pouring a bit of water, then a bit more … and so on. French press coffee makers work differently. All the coffee gets immersed in hot water, so it captures more of the coffee flavor and natural oils. The quality of the coffee tends to be better than when using a pour over maker. On the downside, French presses are more difficult to clean. Sometimes, especially after a lot of use, the seal between the glass and the filter doesn’t work perfectly and coffee grinds might get into the drink. Traditional models are made from glass, but travel versions are designed for on-the-go use, so they are made from plastic and other non-breakable materials. The ones I’ve tried make pretty good coffee. Espresso machines produce a highly concentrated, dark, delicious brew that is the favorite option for many coffee lovers. The machine applies pressure in the process, so it gets the maximum flavor and oils from the coffee. Some portable espresso coffee makers can’t use the same amount of pressure as big coffee machines, but still … the result is fantastic! Most brands have managed to produce small and light models, so you can take your espresso maker almost anywhere. They are the most expensive models on the list, but you know … high quality comes at a price. Let’s make coffee! What do I need? Yes, we need water. I recommend that you use filtered bottled water, as it can have an impact on the final taste. Good water makes good coffee. I use this MSR stove (here on Amazon) to warm water and cook when I’m hiking, and I find it to be great. There are also some compact travel boilers which can be very helpful when you are staying in a hotel without a common kitchen. Otherwise, you can ask someone from the staff to get you hot water; most of the time they’ll do so. The easiest method is to bring ground coffee so you can use it straight in the machine. However, coffee lovers, including me, can be very meticulous on this matter and prefer to grind the beans just before brewing the coffee. In that case, you’ll need a hand grinder. Don’t worry, you can find many on the market and they are compact and cheap. A very personal option. I usually take coffee without milk … and without sugar! I like to feel the real taste of it. Certain models come with a milk frothing feature that some might like. This is probably the biggest advantage. You can carry a portable coffee maker anywhere and enjoy beautiful views with a cup of your favorite coffee in hand. Those small pleasures have no price. It’s important to be realistic, so don’t expect the same quality you’d get from a desktop coffee maker. That said, I think travel coffee makers have a great quality overall, especially the espresso makers. 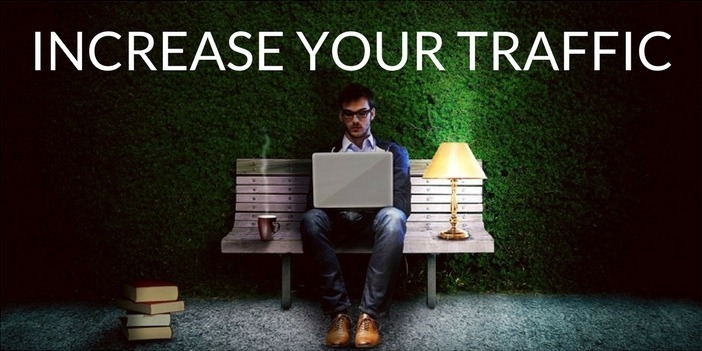 Forget about drinking poor quality coffees in bus stations and crappy bars. You won’t be disappointed! 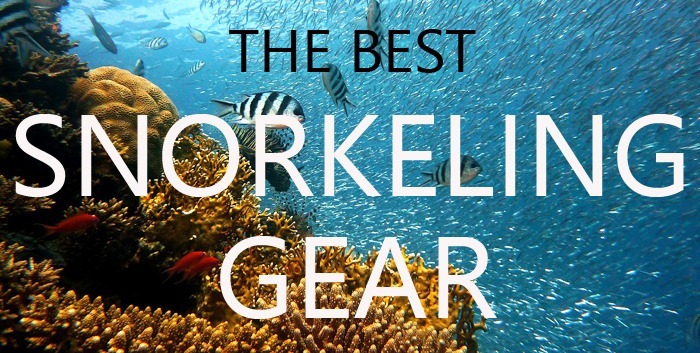 All models on the list are designed for travelers and outdoor lovers. They are built to be lightweight and compact so you can carry them in your backpack, barely increasing its weight. 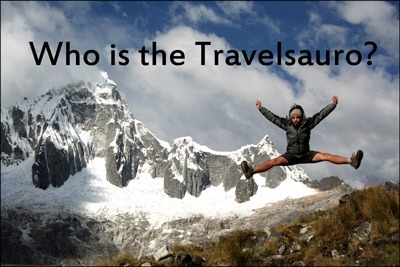 An important factor when you are traveling or hiking. You don’t want to carry dirty stuff. 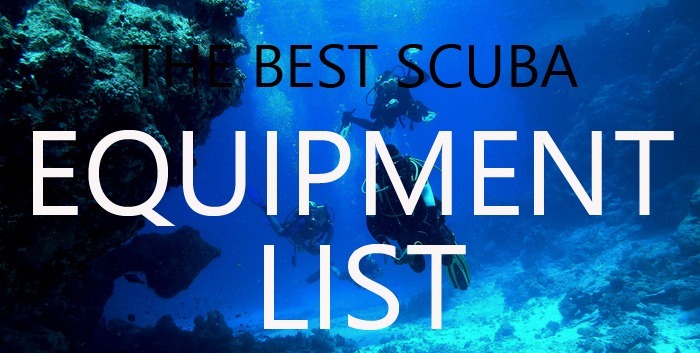 You need easy-to-clean gear to make your life easier. Most models can be easily cleaned with fresh water. One thing is sure: A good travel coffee maker won’t break the bank. The cheapest models start from as little as $10 while more professional options are about $100. There is a wide variety of models; some must be charged using regular batteries or need electricity to work. Don’t worry, I wanted to avoid this disadvantage so I have selected only portable coffee makers that don’t need batteries or electricity. Think about what you really need. Some models are lighter and more affordable while others make better coffee but are bulkier and heavier. If you are looking for quality, the espresso makers on this list received better feedback. They make delicious coffee! 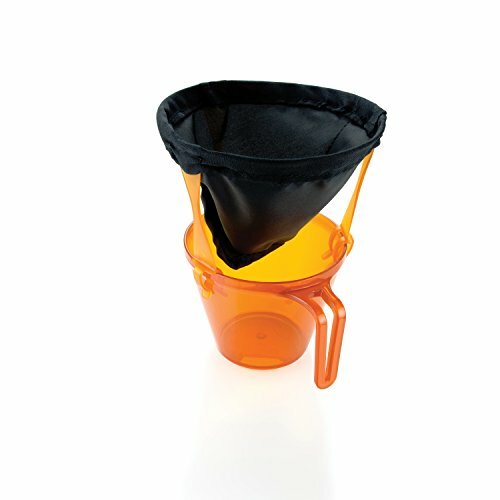 If you are looking for something lightweight and cheap for a long-term backpacking trip, maybe a simple pour over coffee maker would do the job. The GSI Ultralight is an excellent choice for those who want to travel light. I recommend this kind of coffee maker for camping and hiking. It’s ultralight and compact, so it won’t take up much space in your backpack. it comes with sturdy legs to clip to nearly any mug. There’s not much to say about it. It’s simple and cheap and it works just fine. It’s easy to use and easy to clean. A great option for campers and outdoor lovers! The Kuissential Slickdrip is another ultralight, collapsible, cheap option. As you know, these coffee makers take more time to prepare the drink because you must pour the water slowly. Otherwise, the coffee won’t develop a pleasant taste and you could spill water over the filter. Other than that, it’s a great model. If you compare it with the GSI Java, the Kuissential is a bit lighter even though the two machines have a similar design. On the downside, there is no cover, but I don’t think that would be a deal-breaker. It’s made from high-quality silicone; it’s durable and flexible and it doesn’t absorb or pass on any taste into your drink. Probably, the best travel coffee maker in the pour over style. It has a bright orange color which can make it easy to spot outdoors or in the depths of a dark backpack. 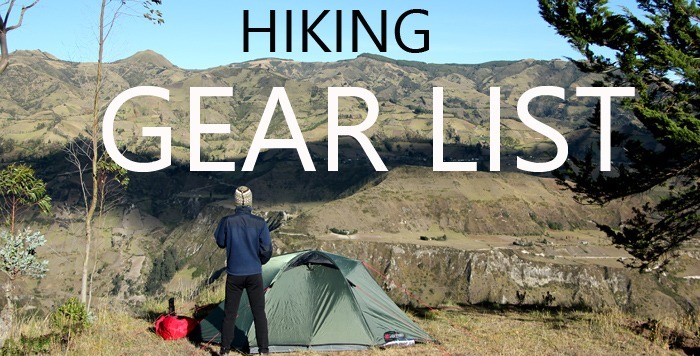 l highly recommend it for long-term travelers, campers and hikers. It takes number 2 filters. Designed to brew one cup at a time, the Primula Coffee Brew Buddy is a fantastic tool to make delicious coffee anytime, anywhere. It’s one of the simplest models on the list and works in a manner similar to tea bags, as it doesn’t require filters. There is a fixed mesh filter that you must clean after every use. This can be an advantage because you don’t need to worry about filters when you are outdoors. It’s more eco-friendly too, as the mesh filter is reusable. If you like tea, it will do that job with no problems. The mesh filter gets inside the cup, so just pour some water and immerse the tea in it for a few minutes. As you can see in the picture, it’s easy to use. It’s also compact and lightweight, so it’d be a great companion for travelers and hikers. The Aeropress is probably the best French press on the market right now. I’ve tried it myself and it makes a rich, delicious coffee. It’s a very popular coffee maker and it has received a lot of positive feedback. It’s also very fast; it takes less than a minute to prepare the drink. Thanks to its fantastic design, it reduces the amount of time the coffee remains immersed in the water, therefore reducing the acidity of the drink. At the same time, the air pressure created on the glass helps extract more natural oils and flavor, producing a super smooth, intense coffee. It actually creates some pressure, so the result is in some ways similar to espresso coffee makers. It comes with several accessories but the process is simple: You place the microfilter in the bottom cap of the chamber and twist the cap. Then you place two scoops of the ground coffee of your preference. Pour hot water into the chamber and stir the coffee and the water for about ten seconds. Finally, insert the plunger into the chamber and press. In about twenty to thirty seconds you’ll get an exquisite cup of coffee. Yes, it’s bigger than pour over coffee makers, but the pieces pack quite compactly. 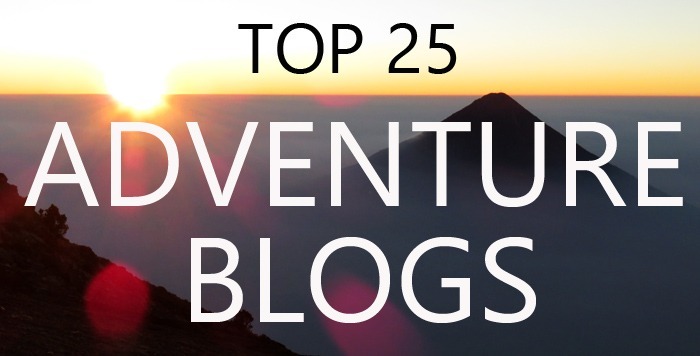 I think it might be a good option for all kinds of travelers and outdoor lovers. It’s made from a resistant plastic so you don’t need to worry about breaking the machine. Most people reviewed it as the best travel coffee maker of the year. Moreover, it has an affordable price. 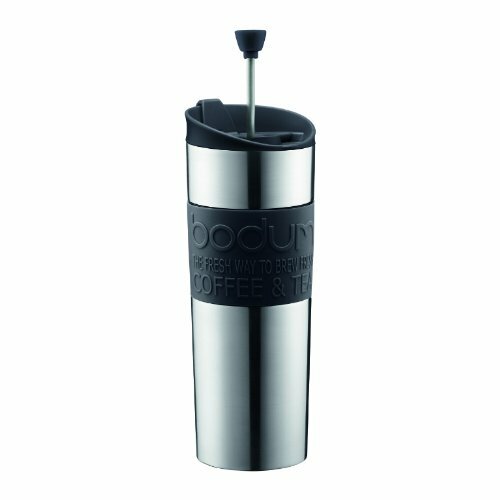 The Bodum French Press is an elegant and practical option. The French press filters the ground coffee, which remains inside the chamber. The main advantage is that it comes with a sippy spout so you can drink your coffee almost any place, even during a car or train ride – a great feature for those coffee addicts who spend many hours moving around. The container is made from insulated double-wall stainless steel so the coffee will remain hot for a longer period of time than with other models. You can make tea and other drinks in the same way. It’s easy to use and easy to clean. On the downside, the coffee might get acidic and bitter because it remains in contact with the water until you drink it all. If you are looking for something practical to get your coffee ready any time, this may be a good solution. On the other hand, if you’re looking for the best quality, I think there are better options. The Aeropress makes a more delicious coffee. The Espro Travel is probably the best option for transporting hot coffee. It makes about 300 milliliters of good-quality press coffee and works in a way similar to the Bodum press. The stainless-steel flask is vacuum insulated and keeps drinks hot for several hours. It works with two-stage extraction-blocking micro-filters that make delicate, delicious coffee. When you close the seal cover, you can transport your coffee anywhere with no leaks. Then, you open it and drink straight from the flask. Once you have finished your coffee, just open the flask; it’s easy to clean because it doesn’t have many accessories, like other models do. Just rinse the mug, separate the microfilters and put everything under water. It’s resistant, compact and light at 345 grams, which is lighter than the famous Aeropress. The Handpresso is awesome! I tried it myself and the results are fantastic. I love it because it’s compact and easy to use, and – of course – it makes a delicious, rich espresso. 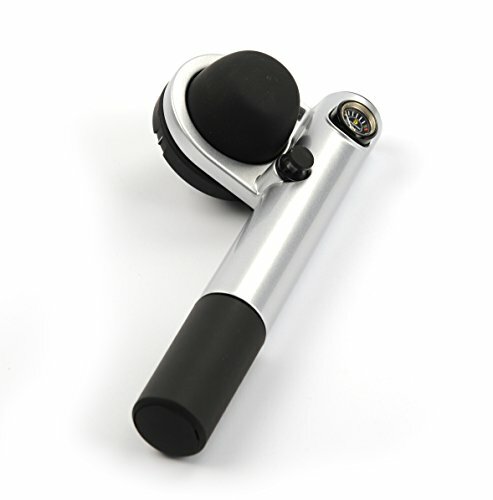 It works by using a pump (it’s actually similar to a bicycle pump) that gets the needed pressure into the machine, making an authentic, high-quality espresso. I think it’s the best travel coffee maker in the espresso category, and it’s a very popular choice with lots of positive reviews. On the downside, it’s not as light as the Aeropress, which remains number one in my opinion. One more thing: Keep in mind that this machine makes only espresso shots. If you are traveling with more people or drink a lot of coffee, you will need to make coffee all the time. That’s the price for better quality. 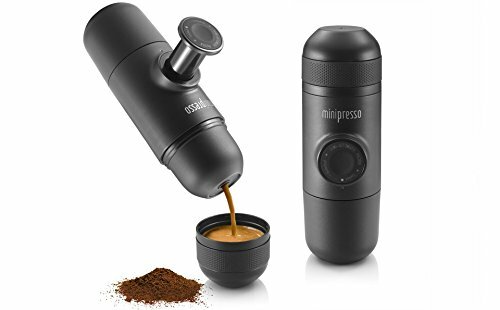 The Minispresso is another amazing option. Some people prefer it over the Handspresso because it’s lighter, more economic and easier to pump and it comes with a useful cup. Yeah! It’s definitely a good espresso coffee maker. So why isn’t it better than the andpresso? Well, the main difference is that while the Handpresso produces coffee under 16 bars of pressure, the Minispresso produces only eight bars. Nevertheless, that’s enough pressure to make delicious espresso coffee so it would a great, more affordable option. Like all the items I’m reviewing on this list, it’s hand operated, so no batteries or electric power is needed. I wanted to keep it this way to avoid unexpected “surprises” when hiking, camping, etc. I wanted to include the Staresso in this list because it’s a bit different from other espresso makers. Do you like cappuccino? If the answer is yes, this would be your best option. It comes with a milk frothing feature that makes it unique! It provides up to 15 bars of pressure to get an excellent, fine espresso. It’s portable, compact and fast. It’s a bit more complicated to use due to the extra features, but it’s nothing you can’t learn in a few minutes. The price is also amazing – way cheaper than the Handpresso. If you want to have a delicious cappuccino anywhere in the outdoors or even at home, this might be your coffee maker. 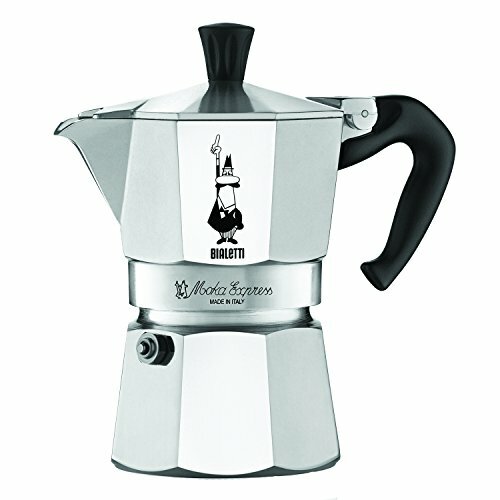 The Bialetti Moke Espress is the perfect option for those who want the classic Italian stovetop pot. It might be a bit bulkier than the other options for long-term travel but the quality is really good. It’s made from resistant polished aluminum in the classic octagon shape. You don’t need extra accessories, filters or anything like that. Just add water, place the ground coffee in its place and put it on the fire. I think it’s a great idea for camping too; you’ll create a fire and then make coffee. No need for an extra pot to get hot water. 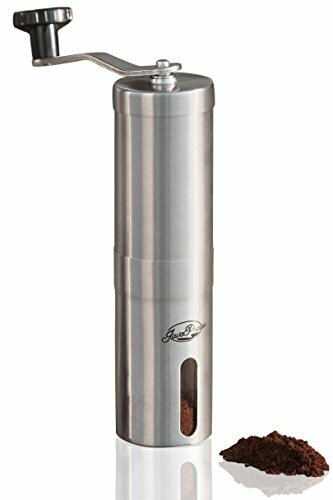 The Javapress is one of the best portable hand coffee grinders on the market. It has a great design and it’s lightweight, easy to use, fast, silent and efficient. 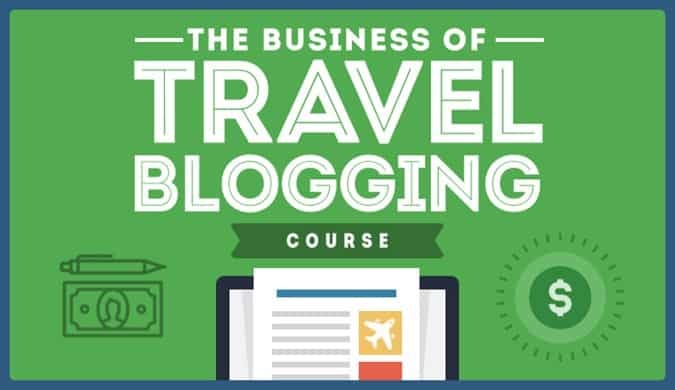 You can use it for travel and outdoor sports, as well as at home. If you don’t like to use ground coffee and prefer to grind it yourself to obtain the maximum flavor, this might be your option. WHICH ARE THE BEST TRAVEL COFFEE MAKERS? Alright! How was it? Do you still have doubts? I’ll try to help you out here! If you are looking for the best balance of quality, performance and price, the Aeropress is, in my opinion, the best travel coffee maker of the year. 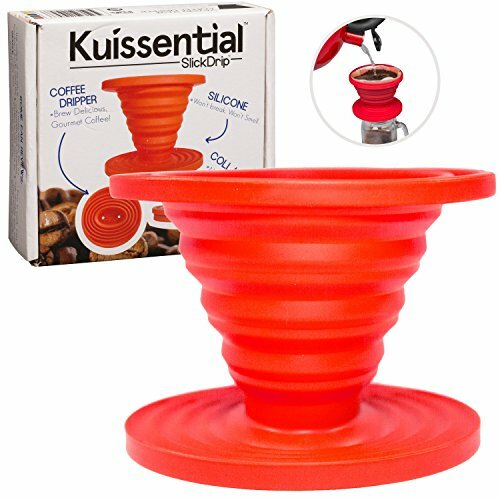 If you are looking for something simple and cheap for long-term travel, the Kuissential Slickdrip would do it. For real coffee addicts who want the best quality regardless of the price or weight, I’d go with the Handpresso. You can really make delicious espresso coffee with that machine. 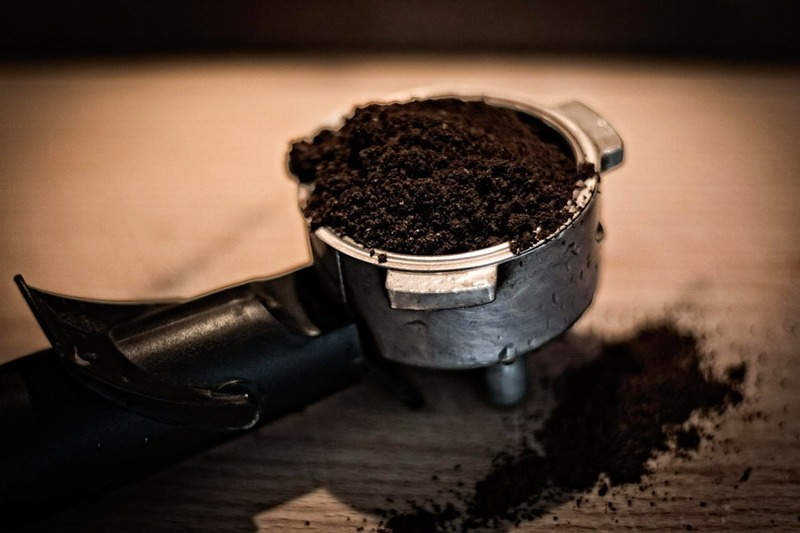 WANT TO KNOW THE HISTORY OF COFFEE AND ESPRESSO MAKERS? Coffee is an African plant, from the highlands of Ethiopia. The Cafa region may be responsible for the name. According to one of the “legends” of the discover of coffee, an Ethiopian shepherd realized some of his goats changed their behavior after eating the leaves of the coffee. They were much more active. From Ethiopia, coffee was brought to Arabia. The Arabs were the first to cultivate this “miraculous” plant, which assumed great social importance due to its use in medicine to cure diverse diseases. From Arabia, coffee went to Egypt in the sixteenth century and soon after to Turkey. In Europe, it was introduced in Italy and England around the seventeenth century. Coffee was consumed by various social classes, including intellectuals. Soon after, it became popular in other European countries, arriving in France, Germany, Switzerland, Denmark and Holland. Following its expansion around the rest of the world, coffee arrived in the Americas and the United States – currently the world’s largest coffee consumer and importer. It was the Dutch who spread coffee around the world. Initially they transformed their colonies in the East Indies into large coffee plantations and, with the French and Portuguese, brought coffee to America. The first espresso machine, patented by Mr. Luigi Bezzera, was introduced to the world in 1901. It was a rudimentary machine operated by steam. The patent was sold to Mr. Desidero Pavoni in 1905. He brought a new model of espresso machine called Ideale to the market. 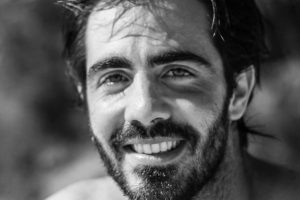 At that time, Mr. Teresio Arduino founded his company “Victoria Arduino” and began spreading espresso culture over Italy. This modern machine hit the market only in 1947 at the end of World War II, when the Gaggia factory introduced its latest model to the market – the first one capable of producing pressurized water (7 bars or more), passing water through a layer of coffee. In 1967 Mr. Nello Dal Tio built the first modern espresso machine. Have you enjoyed the Best Travel Coffee Makers? Leave a comment!